Your liver is like the maid of your body, cleaning up all the toxins you put into it, and therefore keeping all internal systems running smoothly.The modern diet, environmental pollutants, and our increasing dependence on toxic personal care products have put our livers on serious overtime. 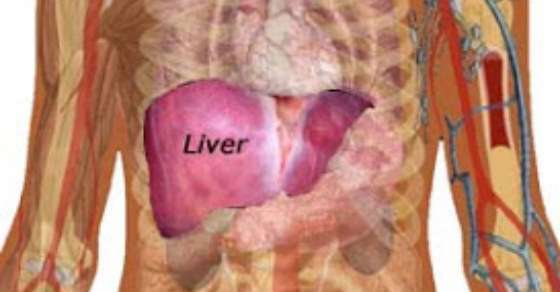 For this reason, it's important to know how to clean your liver thoroughly and effectively – oh, and naturally. Your liver works to cleanse the blood and remove toxic substances that we've eaten, inhaled, or rubbed on our bodies. 1. Warm Lemon Water - Warm lemon water is a great way to detox your liver every single morning. This isn't lemonade, so don't add sugar or anything else. Just purified water and a healthy dose of fresh lemon juice. Some experts, like author A.F. Beddoe who wrote the book Biological Ionization as Applied to Human Nutrition, also believe that the liver produces more enzymes in response to water with lemon than to any other food. 3. Avocados - As if you need another reason to add avocados to your diet, a Japanese study found that avocados contain compounds that can protect the liver from damage. When compared with 21 other fruits, avocados had the most promise in protecting the liver from galactosamine, a “powerful” toxin that has been shown to produce a liver damage much like human viral hepatitis. 4. Cilantro - This versatile herb can be added to just about any dish, including salads or smoothies. This herb can help remove heavy metals from the body, something your liver could be struggling with right now. 5. Turmeric - Another powerful spice with a long list of benefits, turmeric is said to not only protect the liver from damage, but also encourage regeneration of liver cells. In addition, it increases natural bile production and aids in keeping the body toxin-free. Cleansing your liver is crucial, so don't hesitate to incorporate these liver-cleansing solutions right now. For more on how to clean your liver, check out these 4 natural liver cleansing foods outlined by Anthony Gucciardi.